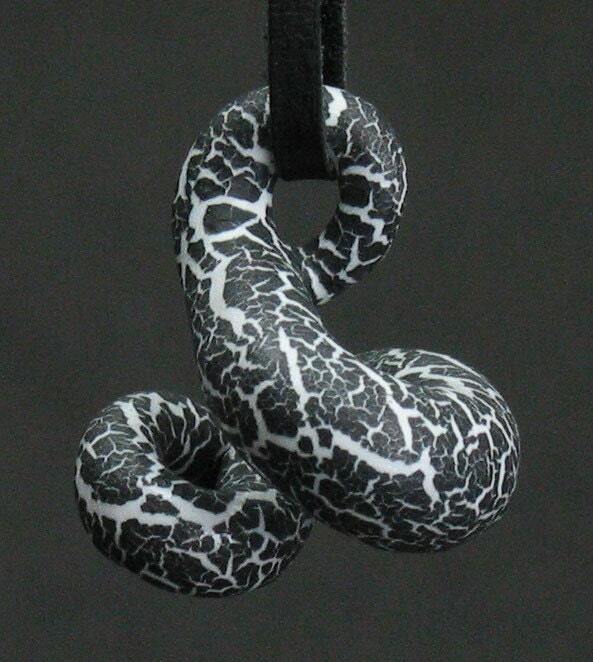 One squiggly or vine-like earthenware vase pendant. Each one is handmade and unique - no molds used here! 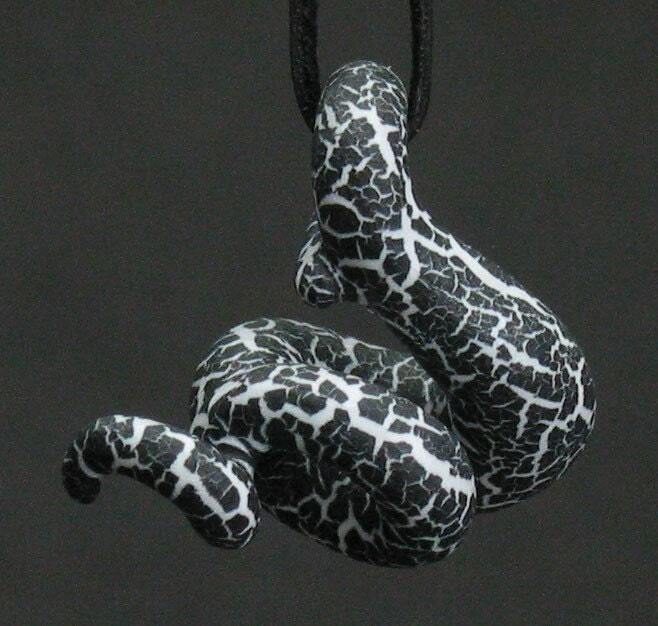 This piece measures approximately 1 1/2 inches tall, 1 1/2 inches wide, and 1 inch deep. 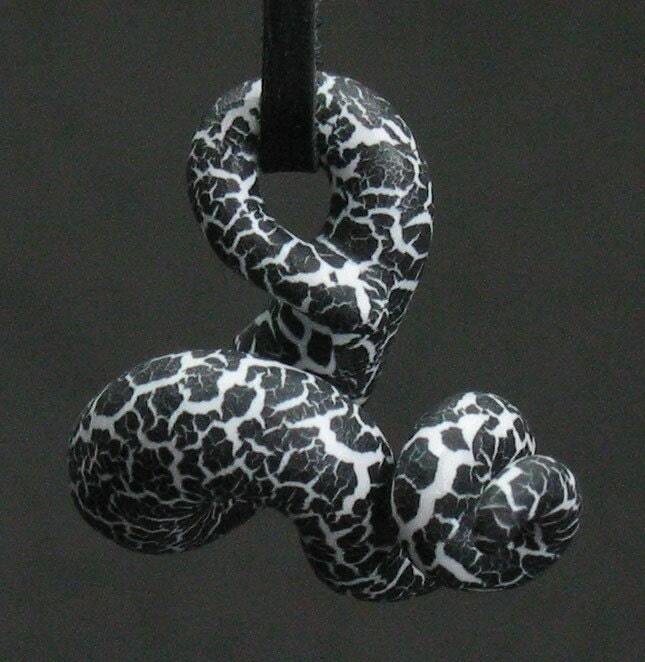 By default the pendant comes with a soft 18" deerskin lace cord (picture 4) with a lobster clasp. 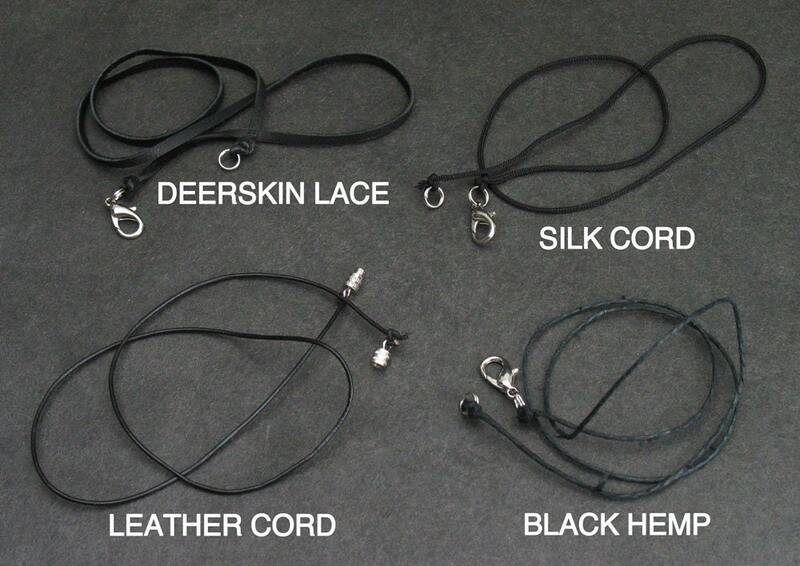 Leather cord, silk cord, black or natural hemp, and barrel clasps are available options. Let me know if you would prefer an alternative configuration or a longer cord (20", 22", 24", 26") in the comments to the seller.